A great opportunity to learn new skills. Our Sydney team of an internationally renowned catwalk trainer, former beauty queen, talented makeup artist, and an artistic Director invites male and female models aged 18 to 60 years old to participate in our free catwalk/ pageantry training program. 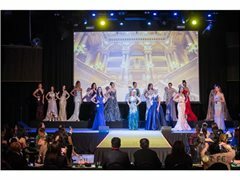 Subject to passing the training programme, the models will be guaranteed an invitation to catwalk in a Spectacular fashion show to be held in a 5-star hotel in Sydney within 2 to 3 months of the completion of the training. No previous catwalk experience necessary and no fees for training. We develop new mankind who aspire to be a superstar model or a beauty queen and learn new found skills who's been acknowledge internationally. This is our advocacy for new generation giving them new skills and self confidence.